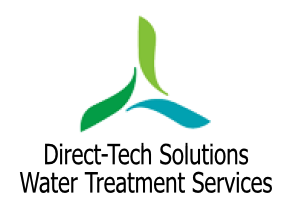 Raw water contains many dissolved solids these include minerals such as calcium and magnesium, when heated the calcium and magnesium salts present in water will result in scale formation on the heat exchange surfaces. This greatly reduces the efficiency of the calorifier, boiler and heat exchange plate; a 1mm thickness of scale can cause a 5% decrease in your calorifier, boiler or heat exchange plate’s efficiency. Acid cleaning involves circulating the acid at low concentration to remove the unwanted oxides and deposited scales from the systems surfaces. When does your system require de-scaling? A calorifier, boiler or heat exchange plate will require de-scaling when the heat exchange surface accumulates a significant amount of calcium (scale). This calcium is deposited every time the calorifier, boiler or heat exchange plate takes in fresh raw water during the heating process, this can result in thick layers of scale forming which can virtually seal off all water flow in extreme cases. Signs of this happening are reduced water flow, fluctuating water temperatures or reduced temperatures. There is always a risk of general or localised pitting corrosion of the metal once the removal of the calcium, oxide or scale has been achieved when using acids for cleaning. To reduce the risk of pitting the cleaning solution is controlled by the addition of a suitable acid inhibitor. The acid inhibitor will be specific to the type of acid and system being cleaned. Mixing the inhibitor with the acid will not interfere in the chemical reaction between the scale deposit and acid, but will substantially minimise the reaction with good metal.